Kaplan TOEFL Idioms Quiz Book is an indispensable study tool for TOEFL test takers and others learning English. Idioms can be difficult to learn in any language, but they are especially challenging in English. 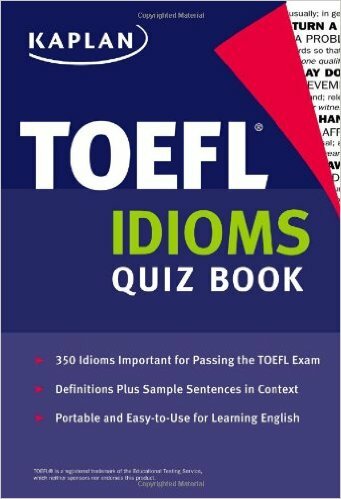 350 idioms to help you pass the TOEFLÂ exam Definitions plu sample sentences in context Clarification of especially difficult idions Convenient, portable format to take with you anywhere.